Prime Slots Casino will then reward you with a bonus (Welcome Bonus is for new players only). The terms and conditions of the bonuses vary between different casinos and might also change over time and between different countries, so it is important to compare the different offers and read the T&C for Prime Slots Casino before signing up. As you can easily guess from its name, Prime Slots Casino is a slot specialist and we really mean it. You can find a plethora of slots here and if you are superstitious, we have some great news. The logo of the gaming establishment is the four-leaf clover, so you may get lucky and win some big bucks while hanging around here and play your favorite slot games. Founded in 2011, Prime Slots Casino is owned by Prime Online Limited, a company based in the British Virgin Islands. 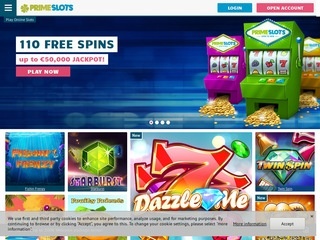 Although the company has an inconsistent reputation among players for other gaming establishments it operates, Prime Slots seems to resolve all the issues players experience quickly. Licensed by two trustworthy gaming authorities, the Malta Gaming Authority and UK Gambling Commission, the gaming venue will provide you with casino games developed by some of the leading gaming companies in a safe and fair environment. Prime Slots runs on a multiplatform powered by some of the biggest names in the industry. The contributing developers include the well-established companies such as NetEnt, NextGen and Play’n Go as well as Cryptologic and NeoGames. The gaming content is available in instant-play mode with no download needed. You can access it from your desktop or mobile device. If you want to visit the casino from your Android, Apple or tablet device, you can easily scan the QR code provided on the website and get a link that will take you directly to its lobby. 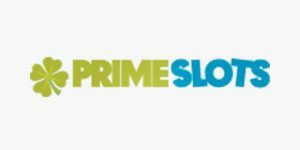 As we have already mentioned, Prime Slots is a slot specialist and you can enjoy more than 250 slot games here. Apart from slot machines, players can choose from a few table and instant win games and scratch cards. If you are looking for an immersive gaming experience, you can join live dealer tables powered by Evolution Gaming. When it comes to slots, there are plenty of options to choose from. They are organized into three categories, Featured, Video Slots and Classic, so you can browse them and find those to your liking. All new games have a tag “New” so you can easily notice them. Some of the legendary NetEnt titles like Starburst and Gonzo’s Quest can be found under the Featured category as well as newly released ones such as BerryBurst and Swipe and Roll. In the Video Slots section, you can also find slot games brought to you by iSoftBet like Legend of Loki, Habanero like Chilli Chilli Bang Bang and Inspired Games like Jaguar Gems. A selection of games depends on the country you access the casino from and all the games are available in the demo mode with no registration needed. To be frank, the selection of virtual table games is mediocre. If you are into RNG-operated Roulette, you can play Roulette Royal, Roulette Royal or Roulette Lounge while Blackjack enthusiasts can try their luck and skills only on Blackjack Solo and Blackjack Classic. All these games can be found under the Casino Games section. Other games include Video Poker variants like Jacks or Better or Joker Poker housed in the Casino Games category. A standalone section Scratch Cards is home to 20 games. You can use the Search bar to find other instant win games like Keno and Bingo instead of scrolling down the website. Live Casino is powered by Evolution Gaming and brings you all thrills and spills of land-based casinos to your nearest desktop or mobile device. Choose from Live Roulette, Blackjack or Baccarat tables or spin the wheel of fortune with Dream Catcher and you can win some nice payouts while enjoying a genuine casino experience. Prime Slots Casino supports a wide range of payment options you can use to fund you account. They include major credit cards like Visa and MasterCard, Bank Transfer, Sofort, Trustly, Skrill, Neteller, EcoPayz, Euteller, Zimpler, Mister Cash, EPS, PaySafeCard, Instadebit, Entropay, Wire Transfer and Fast Bank Transfer. A list of supported withdrawal methods is also long with credit cards, e-wallets, Bank and Wire Transfers, Instadebit and Entropay you can use to request your withdrawals. Catering to players from all the corners of the world, Prime Slots accepts EUR, USD, GBP, NOK, DKK, SEK, BRL, CAD and AUD. If you need any kind of assistance, visit the Help page where you can find answers to some of the most frequent inquiries like those related to depositing, cashing out, technical problems and so on. In case you can’t solve your problem this way, click on the Contact Us link below the FAQ and you will open the available communication channels you can use to reach the customer support team. You can send them an email or start a live chat session. A phone number is also available, but it is suitable for UK players only. Whichever communication channel you opt for, keep in mind that customer support is not available round the clock and that you can reach agents every day between 06:00 and 23:00 GMT.